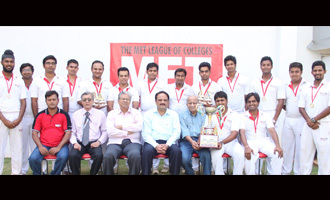 As part of MET 2 Decades Celebration, Trustee – MET League of Colleges inaugurated the MET Sports Club. The MET Sports Club team has been registered with the Mumbai Cricket Association (MCA) and will be participating in professional corporate matches. The team is led by Captain - Jayant Sadgare and Coach - Subash Sarmalkar.